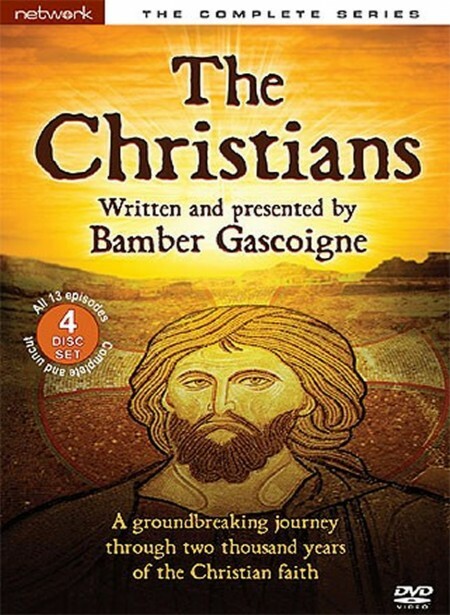 Legendary British broadcaster, historian and author Bamber Gascoigne charts the history and evolution of Christianity in The Christians – a thought-provoking and challenging documentary series covering two thousand years of history. The first show to be written and presented by Bamber Gascoigne, this four-disc set contains all 13 episodes of this acclaimed series for the first time on DVD. Filmed in 1977 in more than 30 countries and broadcast in more than 50 countries worldwide, The Christians is a meticulously constructed, lavishly produced series that describes the experiences and actions of Christians from the birth of Christ, through the Roman Empire, the Renaissance and Lutheran reform to modern times. The series also considers the spread of Christianity, whether by violence – as in the Inquisition – or through the travels of missionaries. This DVD features a newly-filmed introduction to the series by Bamber Gascoigne.